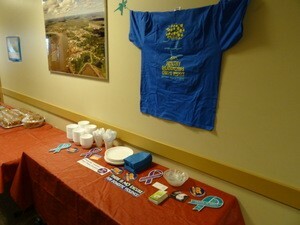 Youth Services in a Classroom Near You! 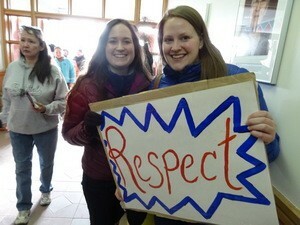 Comments Off on Youth Services in a Classroom Near You! 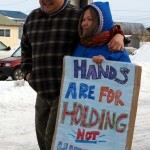 Eileen teaches a Kindergarten class about safe touches. 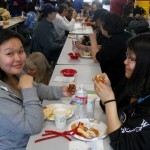 As the school year approaches, the Tundra Women’s Coalition (TWC) is again offering its services to schools throughout the delta. 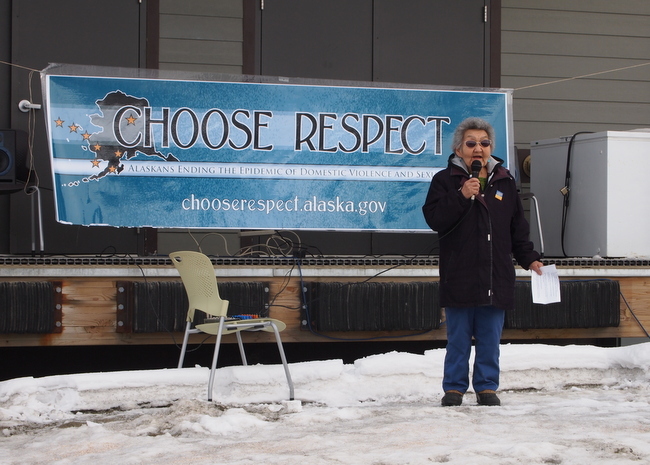 These include Talking About Touching, a personal safety/child sexual abuse prevention curriculum for younger children, Steps to Respect, an anti-bullying program for upper elementary and middle-school children, and presentations on non-violence and healthy relationships for high school students. 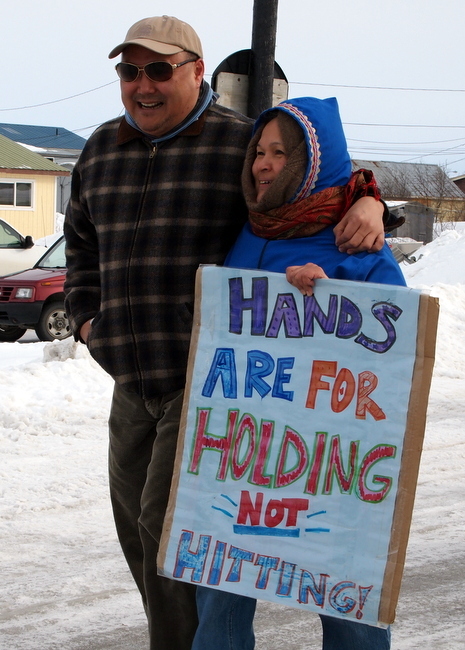 The overall goal of Talking About Touching is to help young people recognize and identify the differences between safe and unsafe touch and to teach them the basic safety rules about touching. 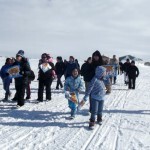 It encourages open communication with one’s family and emphasizes family safety rules. 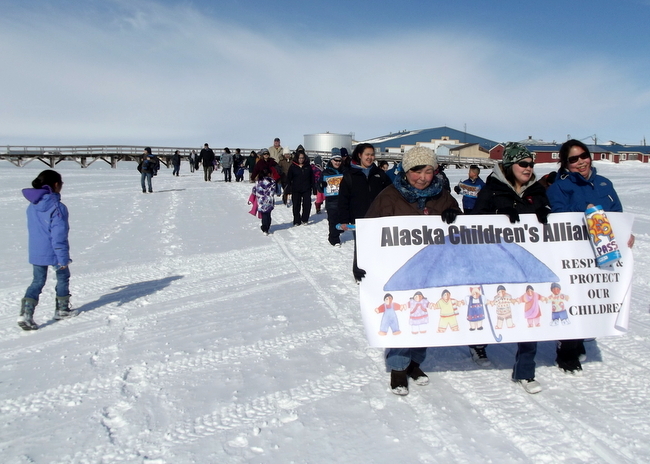 Children are taught many different kinds of safety rules to protect themselves. 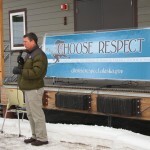 Personal body safety is just one more lesson to teach along with fire safety, snow machine safety, and bike safety. 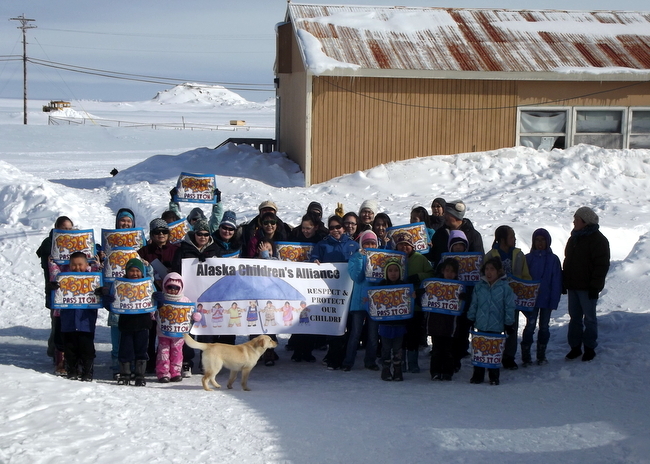 While our village presentations are condensed due to time constraints, this is still quite an effective curriculum and it will help children learn to protect themselves and prevent sexual abuse. 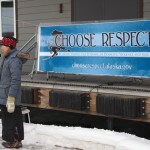 The Steps to Respect Program is designed by the same company as Talking About Touching, and focuses on bullying prevention through education and assertiveness. 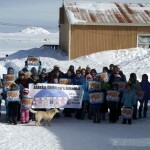 This program allows children to recognize and address the phenomenon of bullying that occurs in schools and affects many children. 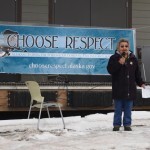 Children will learn to work with each other and with school officials to take steps needed to prevent bullying and use good conflict resolution skills when bullying does occur. 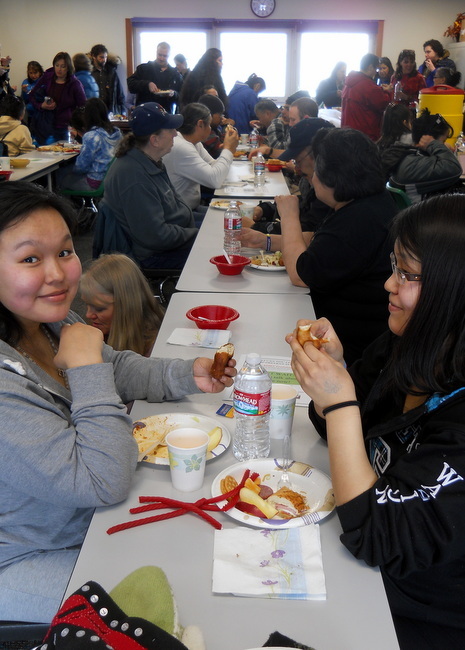 Additionally, the Youth Services Program can provide a healthy relationship presentation for junior high and high school students. 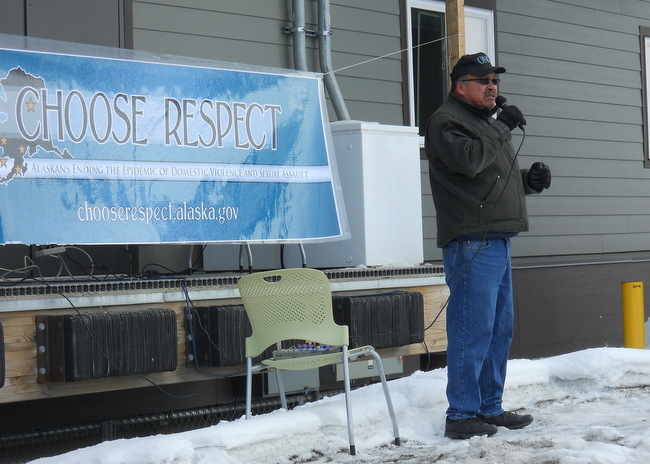 The goal of the healthy relationship presentation is to provide information on preventing interpersonal violence and sexual assault between intimate teen couples as well as among peers. 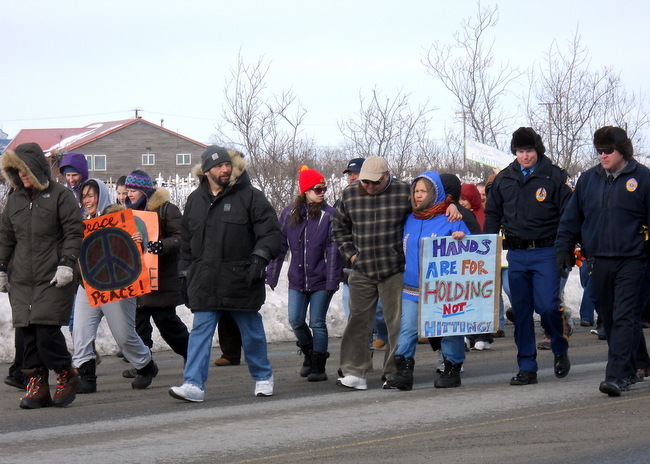 The presentation will be facilitated by TWC’s teen advocate and at least one peer leader from the Teens Acting Against Violence (T.A.A.V). 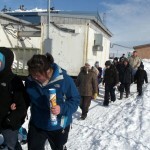 youth program. 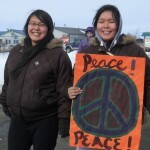 If you have any questions about these or other services that TWC offers to delta schools, or wish to schedule a time for TWC to visit and work with your schools and communities, please contact me at 543-3444 or Eileen_Arnold@twcpeace.org. 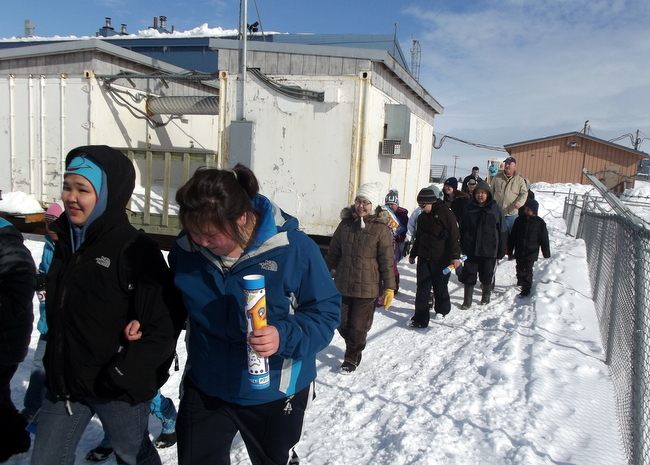 In the 2011-2012 school year TWC visited eight schools in the Yukon-Kuskokwim area including Napaskiak, Atmauthluak, Kaskigluk, Mountain Village, Chevak, Nightmute, Alakanuk, and Kotlik. 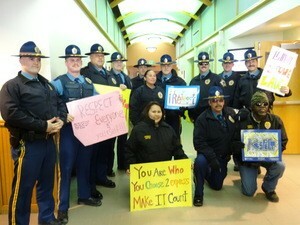 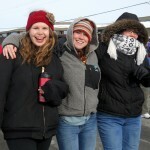 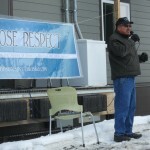 On March 29, 2012, Bethel community members participated in the statewide Choose Respect event. 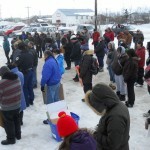 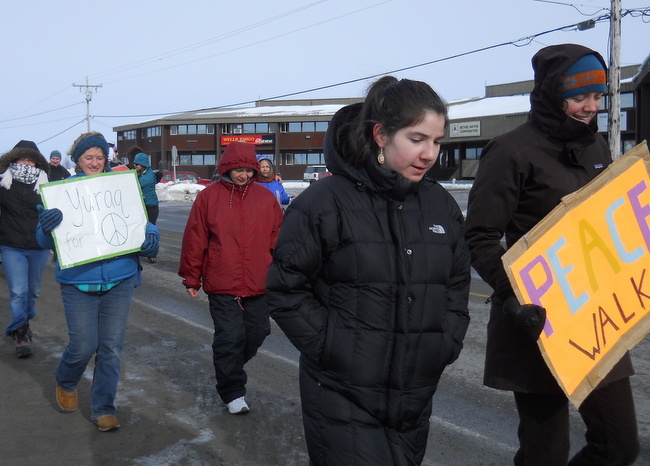 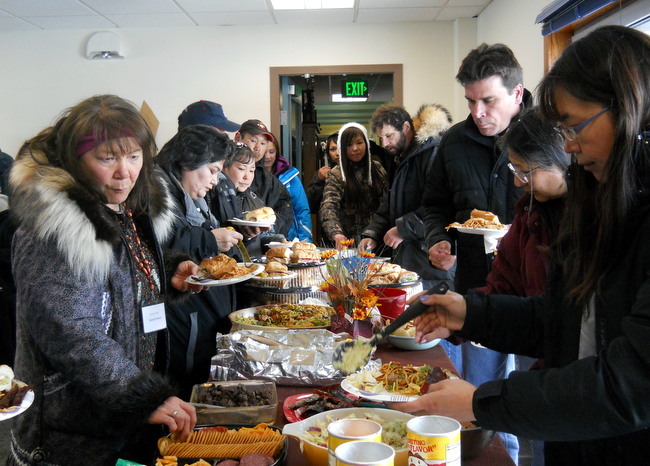 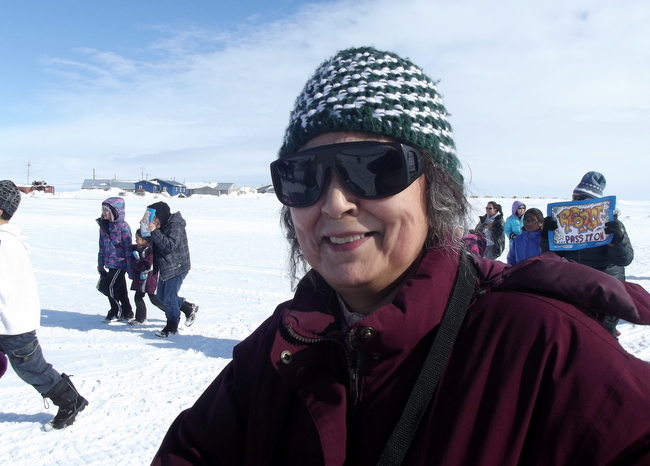 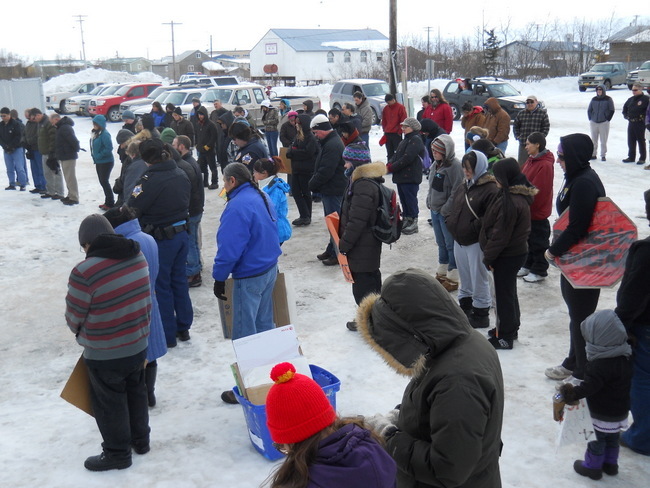 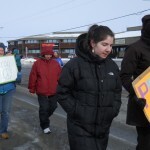 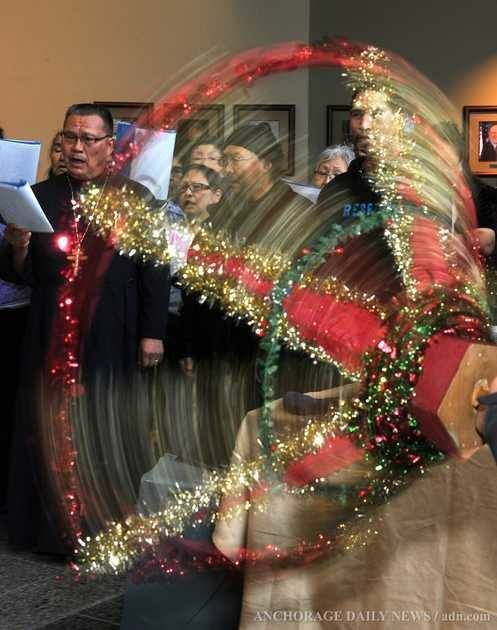 The diverse crowd gathered at noon in front of the TWC building to begin the march to the Kuskokwim Campus, where participants enjoyed a delicious potluck afterwards. 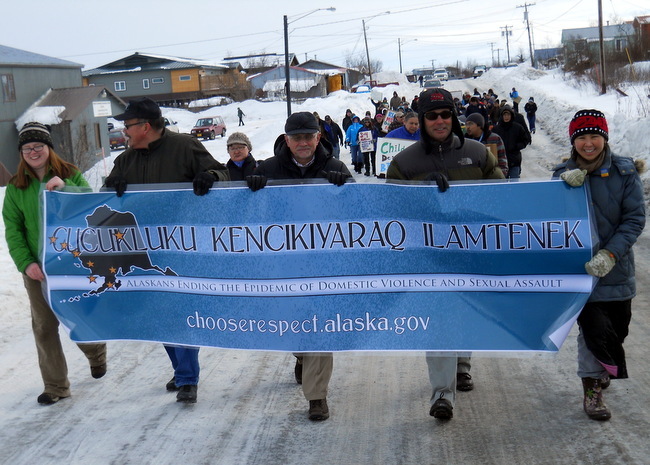 Special guests included Commissioner William Streur of the Department of Health and Social Services, Michael Hoffman, AVCP Vice President, Raymond Watson, AVCP Board Chairman and ONC Chairman, Mary Pete, KuC Director, and Elder Esther Green of Bethel. 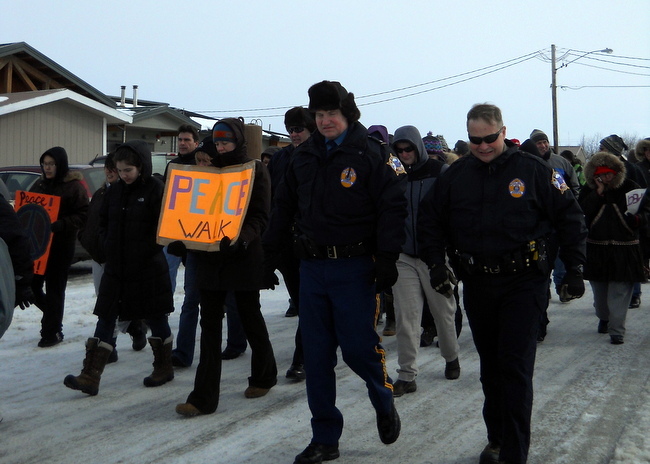 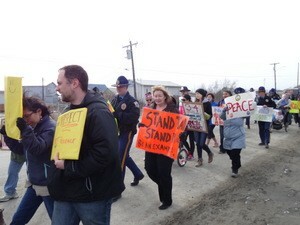 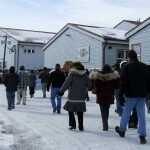 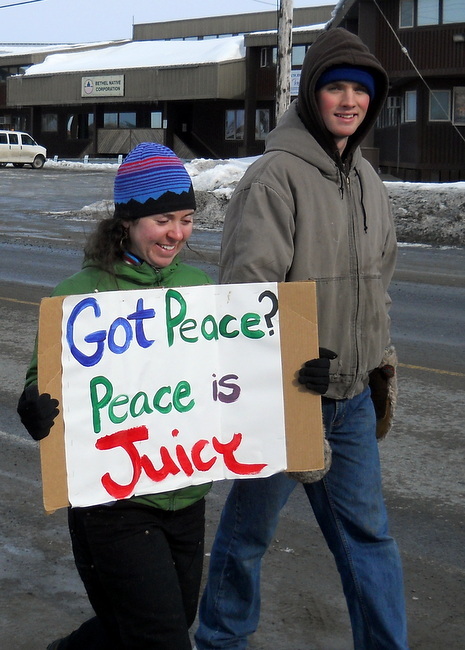 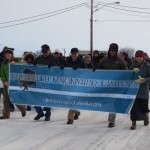 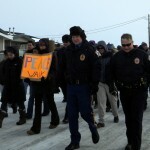 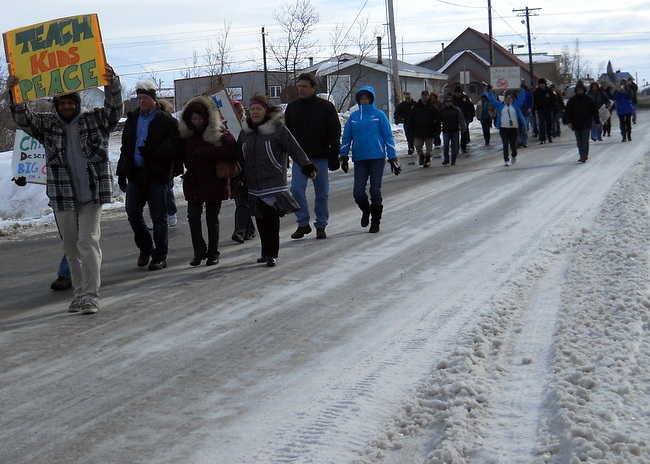 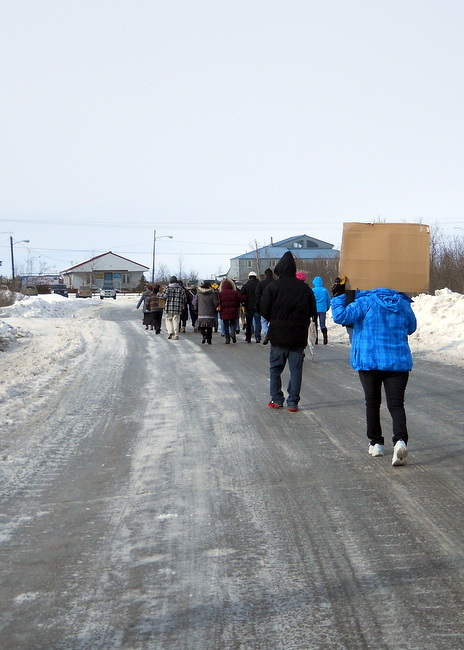 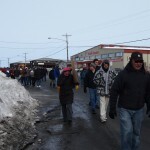 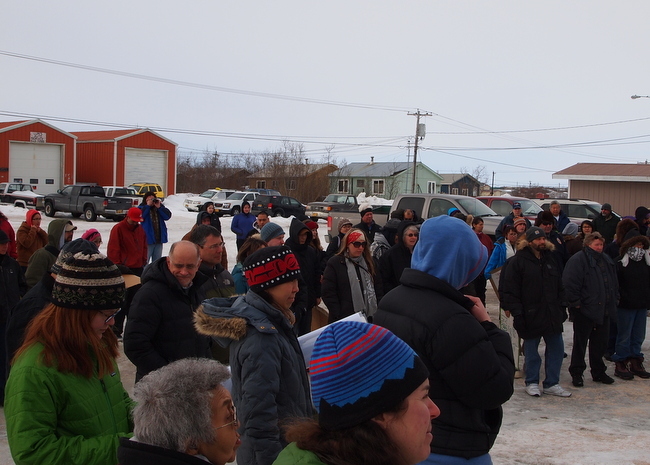 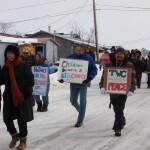 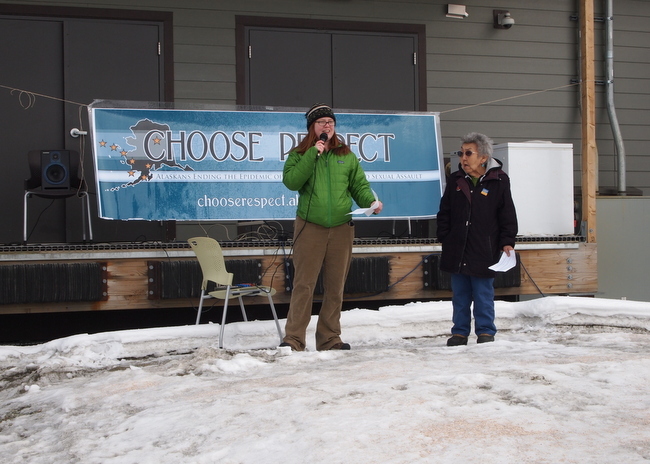 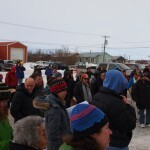 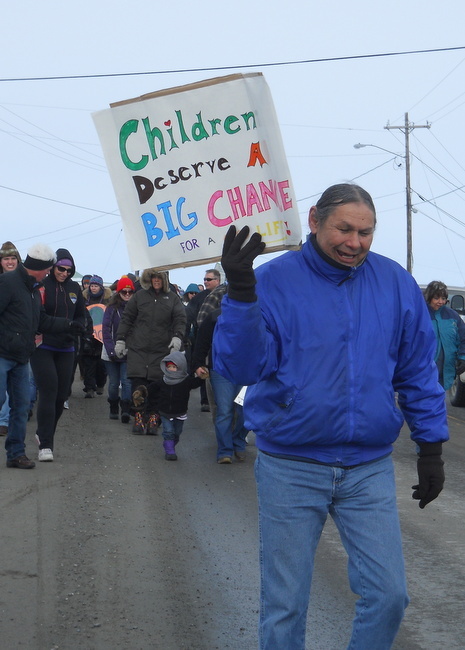 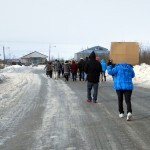 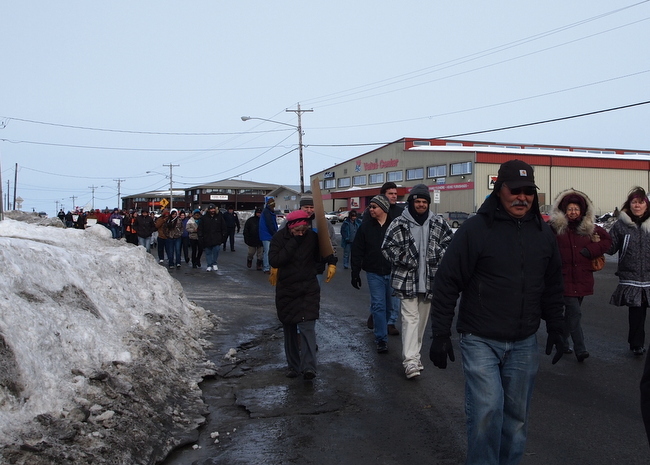 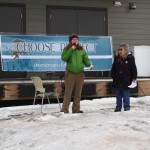 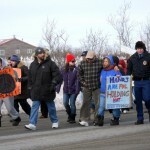 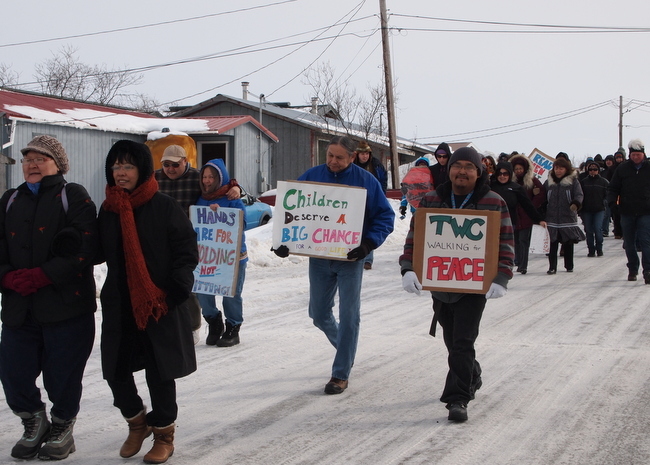 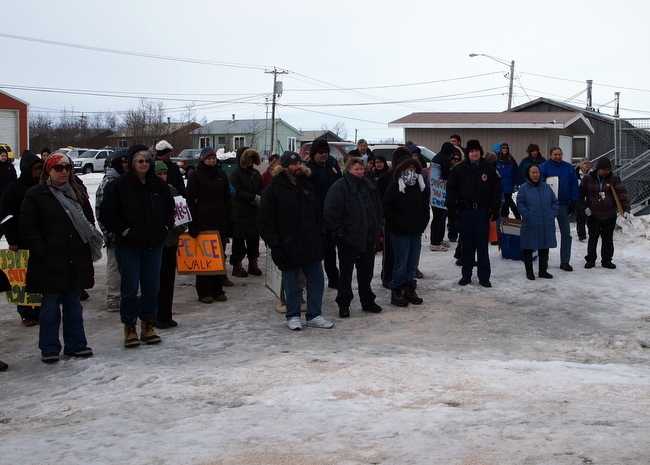 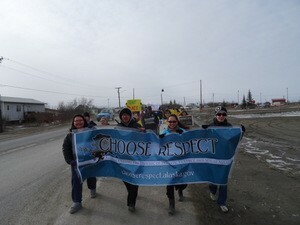 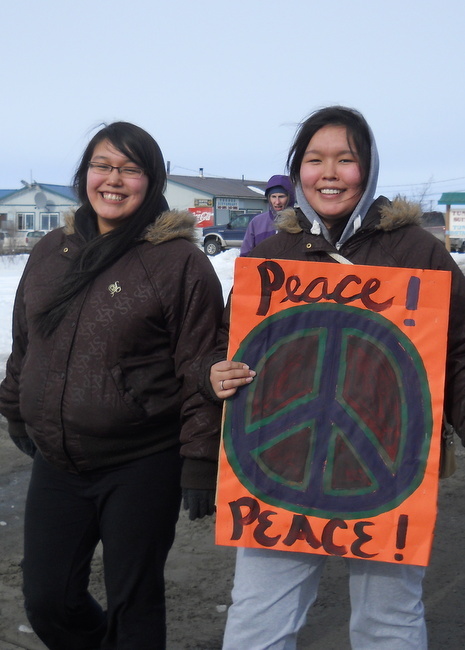 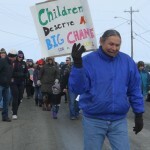 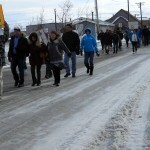 The photos below also include the Kipnuk community march for Choose Respect. 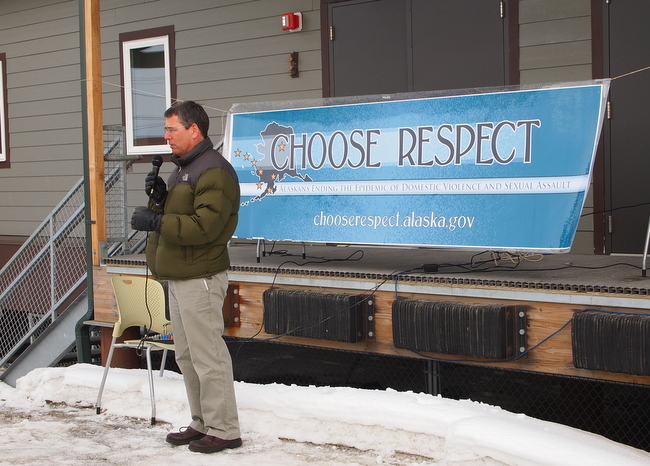 The Choose Respect event challenges Alaskans to step up and take a stand against domestic violence and sexual assault in the state. 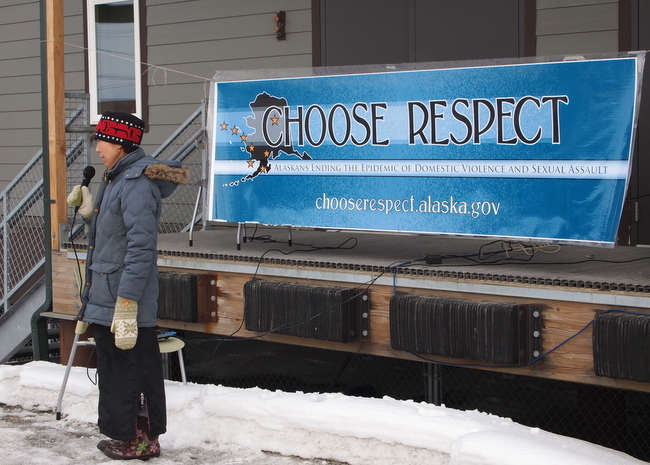 Bethel’s Choose Respect event is sponsored by TWC, KuC, AVCP, and ONC. 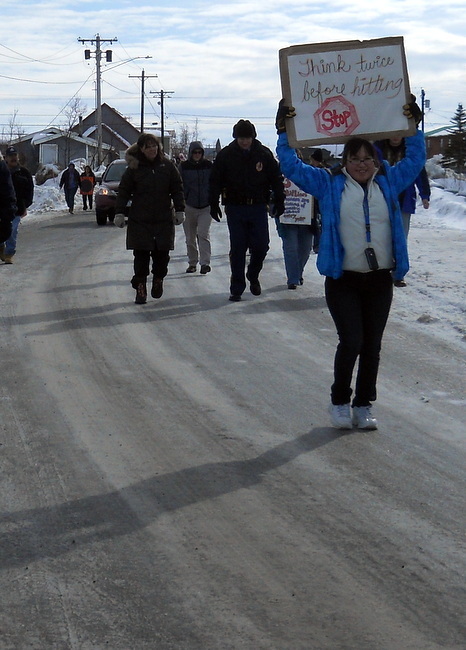 The award will be presented to the honoree at the 11th Annual Yukegtaaraat Celebration in Bethel. 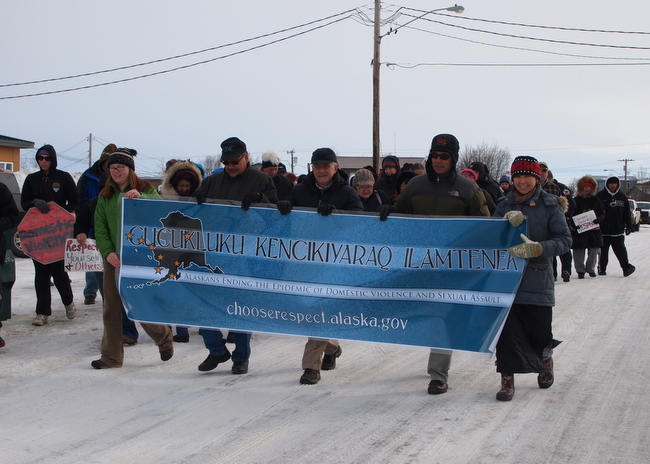 on Saturday, March 31 at 6pm. 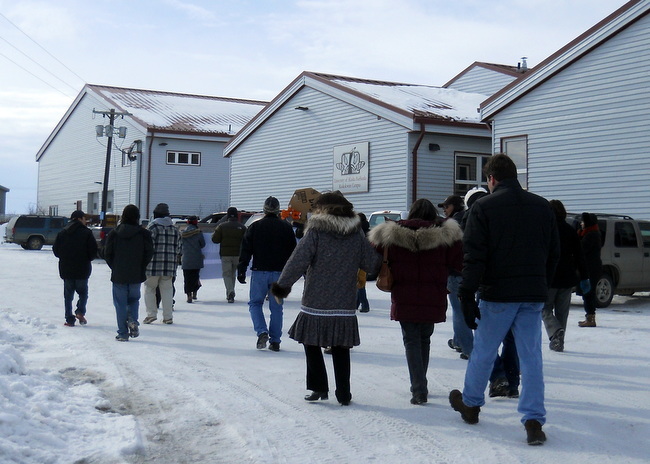 Doors will be open at 5:30pm. 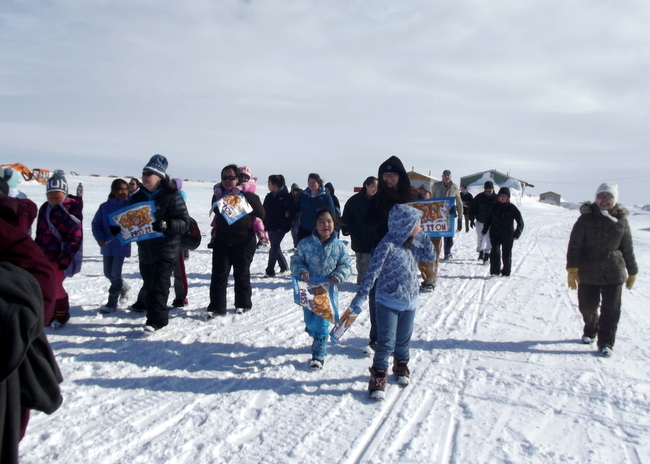 Tundra Women’s Coalition Encourages Our Supporters to Pick.Click.Give. 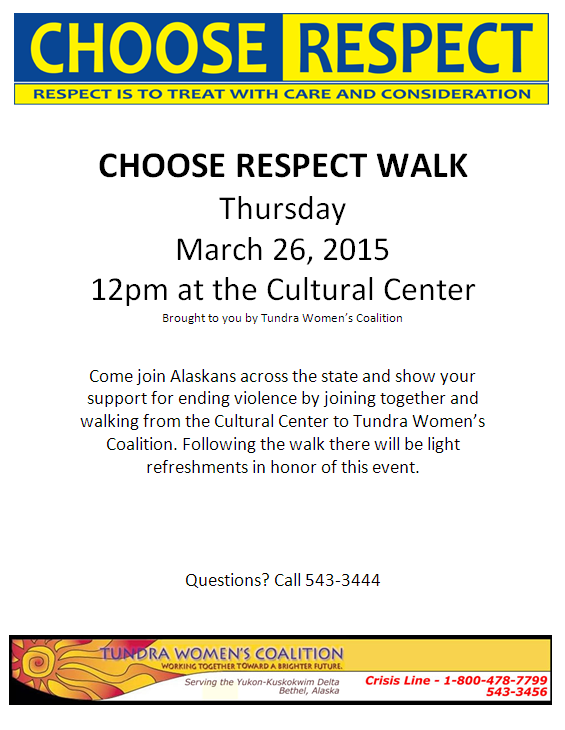 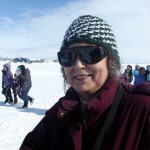 Comments Off on Tundra Women’s Coalition Encourages Our Supporters to Pick.Click.Give. 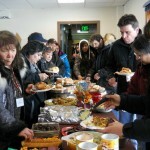 Thank you to those who selected TWC during the 2011 PFD filing process! 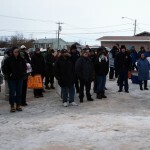 The funds donated are allocated for youth and shelter needs. 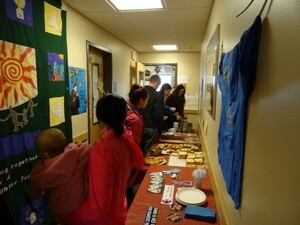 Don’t forget to file for your 2012 dividend and please consider TWC when you Pick.Click.Give. 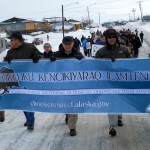 For more information about Pick.Click.Give., check out the project’s website at www.pickclickgive.org or click on the logo. 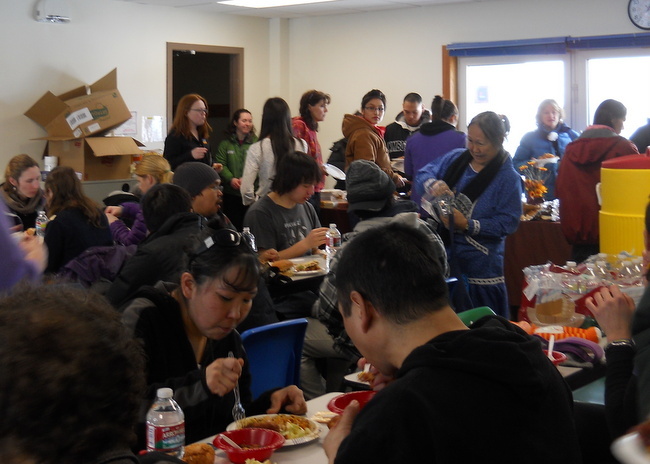 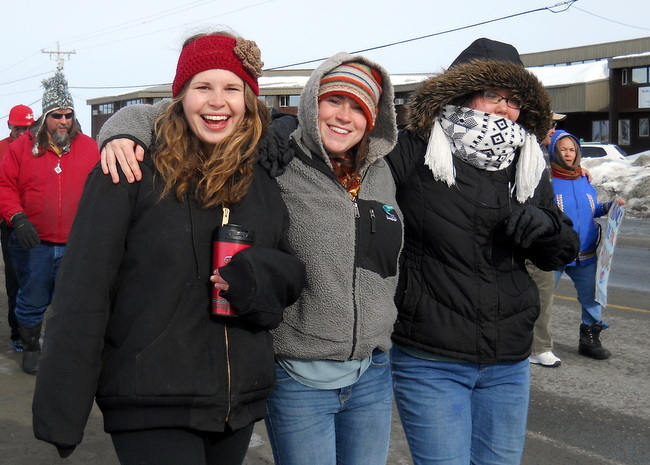 Pick.Click.Give is making an extremely positive impact on Tundra Women’s Coalition. 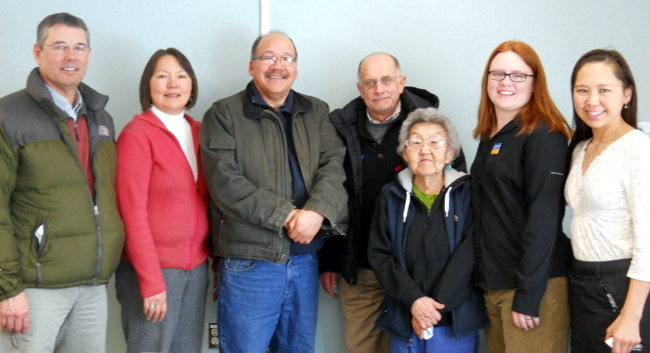 Several weeks ago, TWC received a check for $8,900 in funds donated by Alaskans through their permanent fund dividends – the highest amount TWC has received since Pick.Click.Give began in 2009. 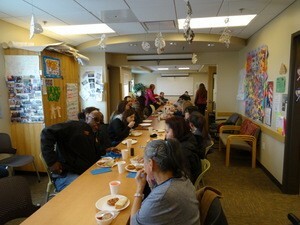 DeWitt said TWC will use the 2011 contributions to support shelter needs and youth programs. 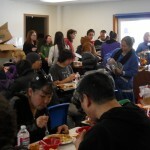 “We are serving more people than in the past, yet our funds for items like laundry detergent, food or household supplies have stayed essentially the same or been reduced over the years,” said DeWitt. 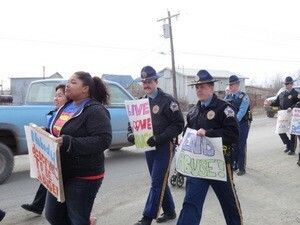 “We also offer many opportunities to program participants both in the shelter and outside the shelter, such as with our teen and children’s programs, that are not supported by grants or other revenue – so this gives us a resource for all these efforts you see us conducting in Bethel and the region,” said DeWitt. 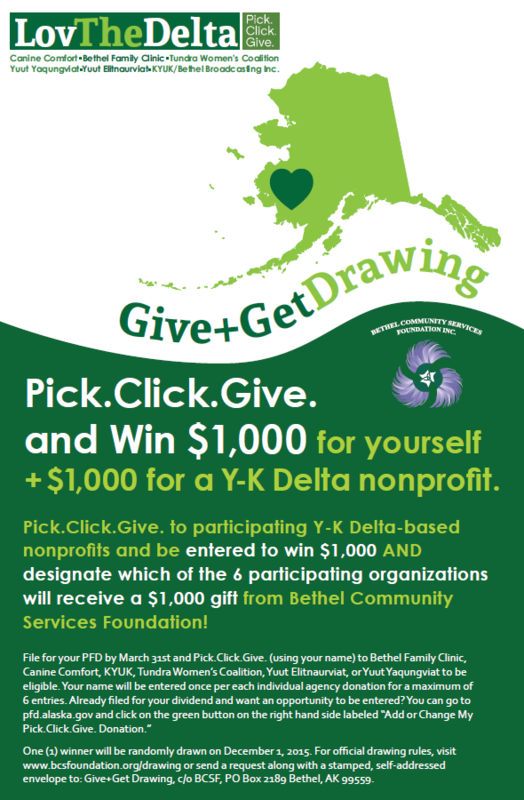 Pick.Click.Give. 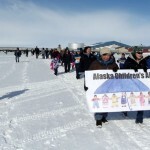 is a charitable contribution program that recipients of the Alaska Permanent Fund Dividend can use to support organizations they care about in the state. 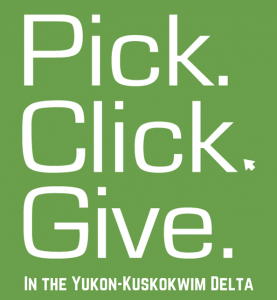 The Pick.Click.Give. 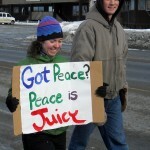 campaign is already underway for 2012. 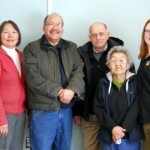 The ability to donate is available to people at the time they apply for their PFD. 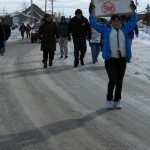 The minimum donation is $25.